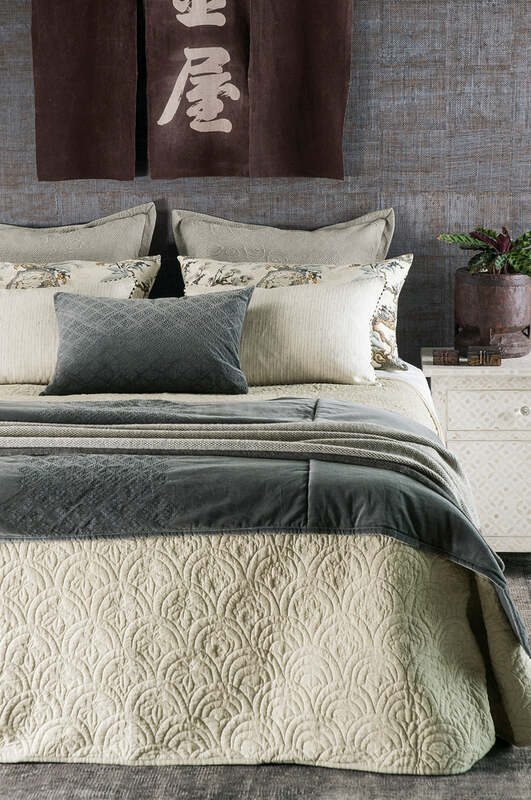 Hand led machine quilted motifs sit subtly amidst oriental fan designs on this beautiful oatmeal linen eurosham. This versatile colour is the perfect canvas for a natural story, making it a dream to accessorise. 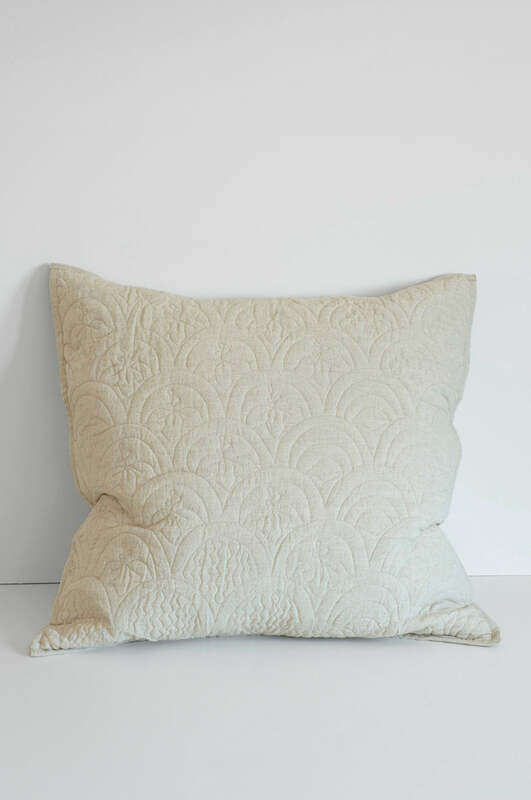 Available with matching bedspread and pillowshams. Please send me a sample of the following swatch for etsu oatmeal eurosham.